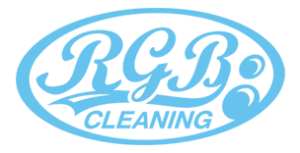 At RGB cleaning, we appreciate that accidents happen – and we are fully prepared to deal with the consequences. However, why take the risk when we can can offer a protection service that is second to none? We know that home is where the heart is – and fully appreciate that – with a busy lifestyle – your carpets and upholstery can often become subject to wear, tear and spillages. RGB cleaning offers a full protection service which can safeguard upholstery, carpets, car interiors and soft furnishings. Customers are often pleasantly surprised to find how competitive our pricing is – when suppliers are attempting to charge high amounts for protection on brand new goods, when RGB cleaning can offer the same service for a reduced price. Furthermore, our stain protection service lasts up to 5 years, ensuring your peace of mind for longer – and our latest generation products mean that your valuables are now protected against a wider range of spillages and accidents. The newest development in our stain protection service means that your upholstery and carpets would be protected against stains from hot liquids – where previous safeguarding could only offer cold liquid protection. RGB cleaning stain protection services mean that you have time to act quickly to prevent further damage and that your treated fabric will naturally repel stains – meaning your home is accident-proof.